GearGuyd > Home > Goodbye Food Pyramid, Hello… Nutrition Plate! The USDA has food pyramid that many of us are familiar with has been trashed for good, being replaced by the Nutrition Plate. 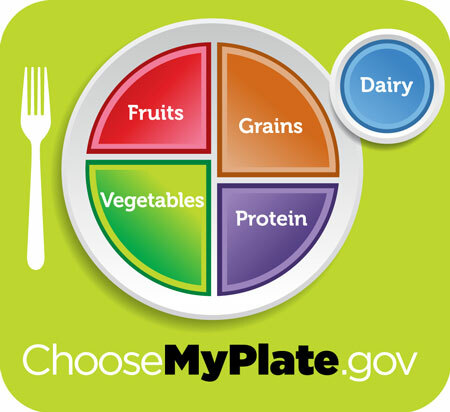 Featuring seemingly arbitrarily sized quarter-plate portions, the Nutrition Plate found at ChooseMyPlate.gov recommends helping portions of vegetables, fruits, grains, protein, and a noticeably smaller serving of dairy. Head on over to the new USDA website for a forkful of nutritional guidance. « Sockeye it to Me – Wild Alaskan Salmon Season Begins!